The Boat is a 18 ft Beavertail BTV. 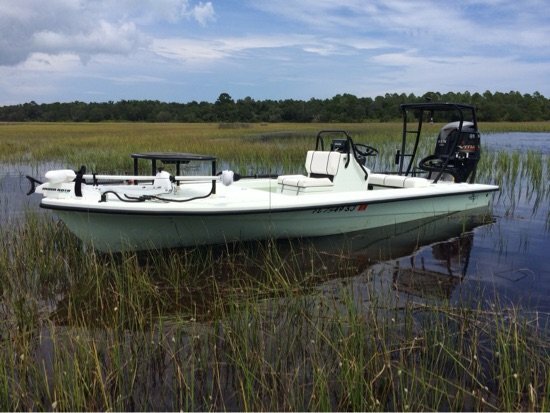 This skiff is the perfect blend of shallow water draft, dry comfortable ride, and stability. -Fishing license, bait, tackle and a cooler with ice and bottled water. -Sunglasses, hat, sunscreen, food or drink you would like to keep in the cooler and proper clothing depending on the season. Don’ forget to ask about Flood Tide charters in in the fall for sightfishing with flys or artificial lures.